Samsung Galaxy A9 with 4 rear camera launches in India on November 20. - mobilereview.online - The Ultimate resource for mobile phones reviews, specification, information. Home Mobile Review Samsung Galaxy A9 with 4 rear camera launches in India on November 20. Samsung Galaxy A9 with 4 rear camera launches in India on November 20. 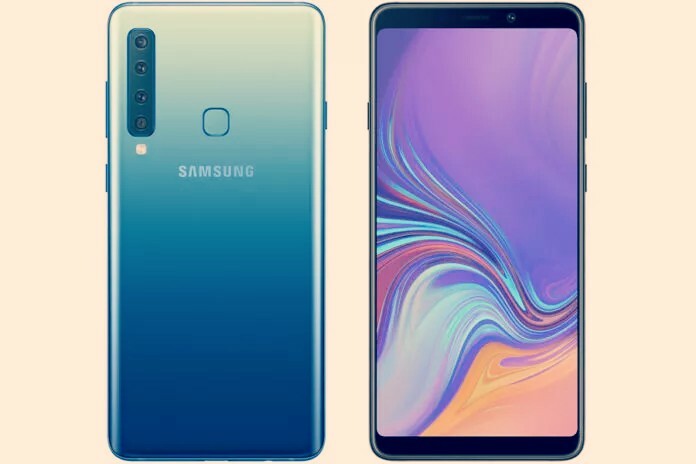 Samsung's four-rear camera smartphone has been listed for pre-registration on the Galaxy A9 company's Indian Amateur website. It's been more than 2 weeks that the phone was listed on the Indian website, but Samsung has not yet told that the date of the Galaxy A9 will be launched in India. While sending the Media Invite today, Samsung India has announced the official launch of the Galaxy A9. Samsung is going to launch its 4-rear camera phone in India on November 20. Samsung is going to organize an event in the capital on November 20, and from this stage of the event, the company's 4-rear camera with a great smartphone will be dropped into the Galaxy A9 Indian market. In the exclusive report of Mobilereview.online, we have already disclosed that a variant of Galaxy A9 will be available for sale in the market at a price of Rs 39,000. However, how many variants of the Galaxy A9 will launch in the country, it is a bit difficult to say when it will be available for sale from time to time. The Galaxy A9's biggest power is its rear camera setup, with 4 camera sensors given. The company has introduced it with a 24-megapixel + 5-megapixel + 8-megapixel + 10-megapixel camera. For the selfie, this phone has a 24-megapixel sensor. This phone is available with an 18.5: 9 aspect ratios with Infinity Display and the Galaxy A9 features a Super Amoled screen of 6.3-inch 1080 × 2280 pixels resolution. The Galaxy A9 works on the latest version of Android and this Qualcomm Snapdragon 660 chipset is given in this phone for processing. The Samsung Galaxy A9 has a large battery of 3,800 MAH. Along with this there is a Quick Charge 2.0 support which is capable of charging the phone in a very short time. The phone has face recognition support, besides fingerprint scanners. The Galaxy A9 will be launched in Lambed Blue, Bubblegum Pink and Cavity Black Color. The Samsung Galaxy A9 is said to be equipped with 6 GB RAM on the product page, which has 128 GB of internal storage. In such a case, it is expected that the phone's 6GB RAM and 128 GB memory variants can be launched at a price of Rs 39,000. Let us tell you that this phone in Malaysia has been launched on 6 GB and 8 GB RAM. It is also expected that Samsung will launch 8GB RAM variants of the Galaxy A9 along with the 6 GB RAM.